If there's one thing almost everyone knows about Jesus (other than being crucified or born in a manger, that is) it's that He turned water into wine. Here in John 2, John takes us to that very moment - the first of the signs through which Jesus revealed that He was truly the Son of God. We see Jesus perform His very first miracle here on earth. For over two thousand years, people have been asking the same question; "What proof is there that Jesus really was who He claimed to be?". They even asked it to Jesus himself time and time again. For John, the proof that Jesus truly was God was found in His words and actions. In this chapter we see not one, but two signs that show us that Jesus was the fullness of God in human form. But these signs can be a little tricky to understand - so we're going to break them down to find their true meaning. The first miracle (or sign) recorded in John, when Jesus turned water into wine, almost seems kind of trivial - like a magic trick. Why John chose this sign to begin his book might seem a little odd. 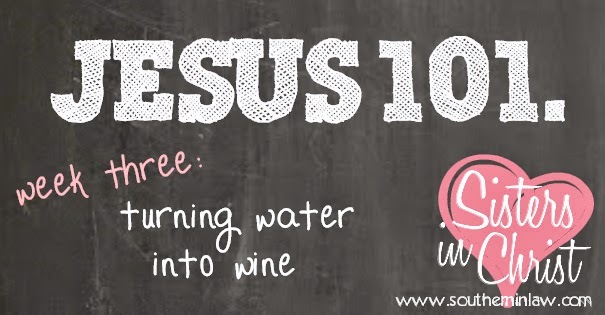 Turning water into wine didn't address human suffering the way that Jesus's healings did - how does this sign help us to believe that Jesus is the Messiah and not just a clever magician? Jesus was at a wedding. During this time, weddings were the biggest and most important celebrations amongst the Jewish people - to the point where in the future, people would use a wedding banquet as a metaphor to describe the blessings of the Messianic age (the time when Jesus returns and a new heaven and new earth is created). Jesus even uses the image of a wedding banquet to describe the Kingdom of God in some of His parables. Jesus used miracles here on earth to demonstrate spiritual truth - and that's exactly what he was doing here in John 2:1-12. But why turn water into wine? Jesus turned water into wine at the wedding in Cana, Galilee to show that He is the one who will provide the Messianic banquet of the Kingdom of God. The "Messianic Banquet" (sounds like a big fancy term, I know but bear with me!) is a symbolic portrayal of our blessings to come. As Children of God, we'll be sharing a rich feast with Jesus - the Messiah. In the New Testament, we see this feast described as a wedding banquet where Jesus is the Groom and the whole Church is both the Bride and invited guests. Mary may have just expected Jesus to duck down to the nearest wine market, however, He chose to perform a miracle to show us what is to come. Jesus provides, sisters - whether it be wine or spiritual healing. But why did He use the Ceremonial Cleansing Jars? What is also important in this story is what Jesus used to turn the water into wine. Jesus is giving us yet another sneak peek here. By using these jars, Jesus is showing us that the cleansing of His blood (as we know, in the Bible, the blood of Christ is represented by wine) is far greater than any ritual washings - and the transformation of this very water into wine also symbolises the transformation of Judaism. Jesus filled the containers to the brim (John 2:7) to show that no space is left for ritual washings in this new age. When John writes "Everyone brings out the choice wine first and then the cheaper wine after the guests have had too much to drink; but you have saved the best til now" (John 2:10) he isn't just recording advice for future weddings or telling us that Jesus should switch career paths and become a wine maker - he's showing us something. What he's showing us is that the Jews had been drinking wine (performing their ritual washings) for so long that they could not recognise when something better came along (Jesus!). Just like someone who's had a little too much to drink no longer realises they're drinking the cheap stuff. But the meaning doesn't end there - when Mary says, "They have no more wine", this symbolises that the Jews no longer had any spiritual meaning left in their ceremonies - Jesus had brought something new and better. Continuing on with this idea, John takes us out to the temple courts where Jesus is driving the merchants (think: stallholders) out. Now this is the part of John 2 where, when I was younger, I felt quite confused and distressed. Why was Jesus driving these people out? This loving character was using a whip and I couldn't wrap my brain around it - until I looked further into the story. "It was almost time for the Jewish Passover, Jesus went up to Jerusaleum" John 2:13 and the Jews were selling animals and exchanging money in the temple courts. (If you're not sure what a temple court is, it's simply the grounds of the Jewish temple) The animals were to be used for offerings and sacrifices and the money was to be used to pay the temple taxes. But Jesus made a simple whip out of cords and drove them all away. But why would He do that? Did Jesus hate these people? No! Did He object to what they were doing? Not entirely. Jesus didn't object to the selling of animals for sacrifice or charging money for offerings - or even how much they were charging. His problem was that they were turning the House of God into a house of merchandise! They had turned religion into a money making scheme. "Destroy the temple and I will raise it again in three days!" But Jesus isn't just talking about the temple building here. As John tells us in verse 21, the temple Jesus spoke of was His body. When Jesus was killed, the temple was destroyed - for His death made all sacrifices obsolete - and in three days, He rose and built a new temple; His Church. Jesus was going to end the rituals of cleansing and sacrifices (and the Jewish leaders were going to help Him destroy this "temple" by attempting to destroy the body of Jesus) and in three days everthing would be changed from water into wine - from lifeless rituals to the best spiritual refreshment of all! Well, like the Jews, we may find that our own "traditions" of worship have lost meaning - or perhaps we no longer have the heart behind them. We might just be going "through the motions" - but Jesus wants us to be drinking and enjoying the best spiritual drink of all! He wants to refresh us and build us up - but first we have to let Him. 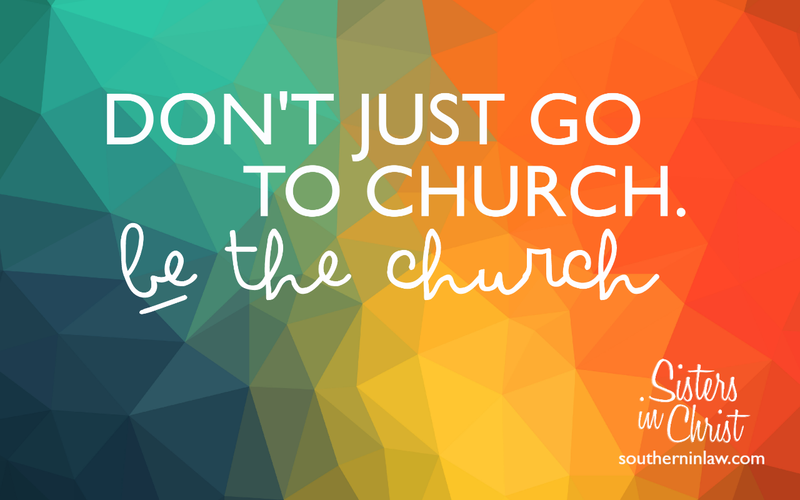 We need to be Jesus's representative in all that we do. We need to live for the one who gave us life - not live for meaningless rituals. I spoke about this in length in my post What Does It Mean to Be a Godly Woman: Serving the Lord - the idea of true service and how being involved in a ministry doesn't necessarily mean you're serving God. So have a look at that post if you haven't already.